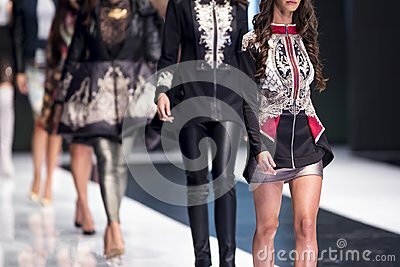 Female models walk the runway in different dresses during a Fashion Show. Fashion catwalk event showing new collection of clothes. In a row.